This Life Changing Event Happened Two years Ago This week! Two years ago this week, I had just been laid off from my corporate job without a plan for the future. I had just enrolled in the Institute of Integrative Nutrition a month before that which I thought would be fun and interesting as a hobby. I jumped in, felt the fear of the unknown and started creating a platform that became the “Healthy DivaGirl Lifestyle.” I had a vision and nobody was going to stop me. Fast forward 2 years later I have co- authored a book with 17 other amazing women and public speakers from all around the world. I have been asked and interviewed for numerous online summits and podcasts by many influential and successful coaches, doctors, and game changers in the industry within the past year. I started public speaking and became a regional sales demonstrator for Vitamix as my side job. Most recently I was invited to be an expert and teach in a premiere writing mastermind online digital course that starts In January 2016 which costs thousands to be a part of. I’m creating my own digital courses, books and products that will be released sometime next year. My coaching practice is going to be filled with amazing women in 2016!!! If you have a dream, you believe in yourself and you don’t let fear, a lack mentality or anything else get in your way, you can do this too! 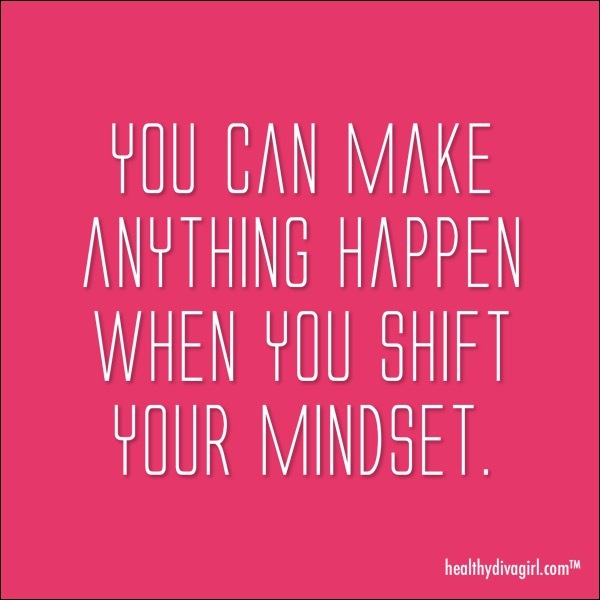 When you change your mindset you can make anything happen in your life and business! I’m living proof of this. My life as an entrepreneur hasn’t been easy and still isn’t but I know that with the level of passion and tenacity I have for what I do, I will only succeed!!! I know when I feel like I can’t do this alone that there is something so much bigger guiding me to the perfect people, places and situations. I’m so grateful every day for the people who have supported me on this journey and for all the thousands of people I have met in the last 2 years. My life is a blessing and I choose to live every day with meaning and intention and help others do the same. You are all the reason I am here showing up every day and I’m truly grateful for you all! Wishing you all a healthy and Happy Thanksgiving today!